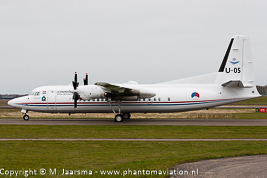 Company: Fokker (The company went bankrupt in 1996. Part of the company survived as Fokker Technologies and is now GKN Aerospace designing, developing and manufacturing aircraft systems). 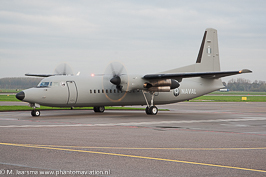 Royal Netherlands Air Force Fokker 50. Peruvian Air Force Fokker 50. 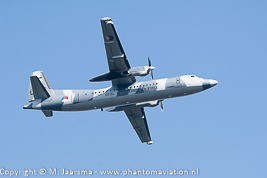 Royal Netherlands Air Force Fokker 60UTA-N.